Dry eye is a common ocular condition, which usually stems from the protective tear film over the surface of the eye evaporating more quickly. 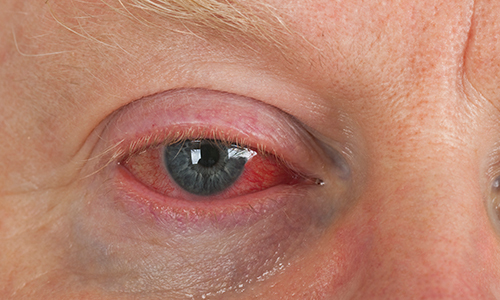 A deficiency in the lipid, or oil, layer of the tear film causes this rapid evaporation, which is in most cases caused by meibomian gland dysfunction. As a result, the eyes become increasingly exposed to air, wind, debris, and sunlight, causing burning, stinging, tearing, itching sensations, and redness. Dry eye has no definitive cure, but the symptoms can be effectively treated. At Better Vision New Jersey, we utilize various treatment options to ensure that each and every one of our patients have optimal results and minimal difficulties with symptoms. Artificial tear eye drops can bring much relief to dry eyes, while ointments and humidifiers can be helpful as well. 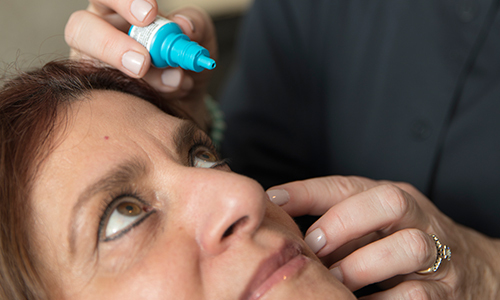 We also use medications such as Xiidra and Restasis and punctal plugs as well as LipiFlow® Thermal Pulsation Therapy, a new and exciting advancement in dry eye treatment. 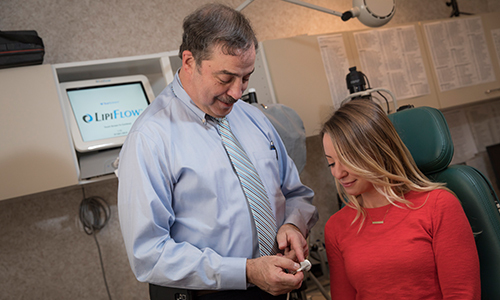 In fact, Dr. Calderone was the first physician in New Jersey (and one of the first in the United States) to offer this exciting technology, the only technology FDA approved to treat evaporative dry eye syndrome. All of our physicians are experts in the diagnosis and treatment of dry eye. Request a consultation today to determine the best dry eye treatment for you.